HDR has taken me on a journey and now I have been messing around with some textured layering in Photoshop. I have always liked that “Old Master” canvas look where old oil goes a sort of crackled sheen. 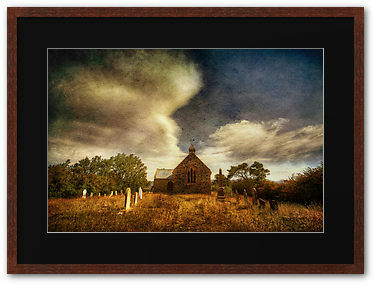 I recently started uploading some images at RedBubble just to give some other options for reproduction and I found a few images from some local photographers. I was inspired to go ahead with some test. Thanks go to Heather Hartkamp in Geelong. Have a look at some of her work from around Geelong. This image of a tree “Dog Rocks” got me started and although I am not up to Heathers standard with Photoshop yet I thought I might post an image I have attempted. 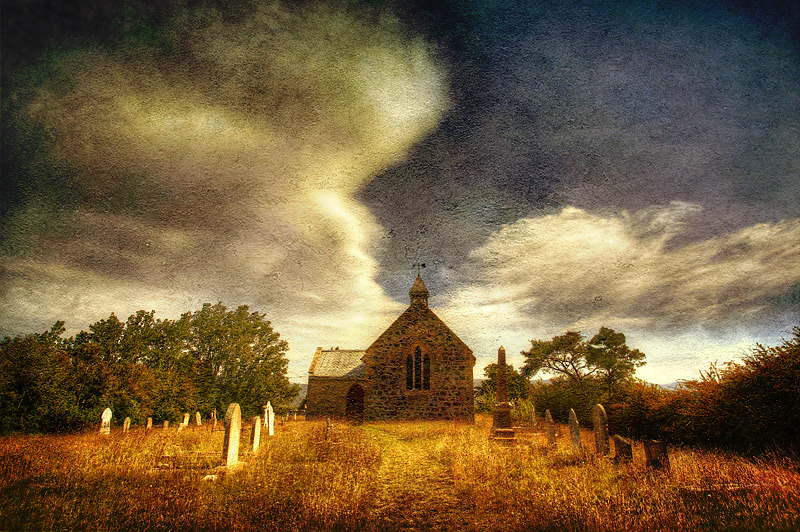 This is a little church graveyard on the road to St Marys in Tasmania. I was looking at these clouds whilst driving and stopped at every possible building as it grew and changed. Finally I came across this old place with a bit of foreground. This was shot in three bracketed exposures and a 16 bit HDR made with Photomatix Aperture plugin. Then with 4 layers in photoshop with overly complex settings I arrived at this result. The good thing is it prints up just as I wanted. Time to start all over and shoot some more work with this effect in mind. This print available from RedBubble.